The Middle Atlantic Work Surface for SC and SCQ Series Consoles WS3-S18-GOF (Oak Trim) is an attractive, work surface designed for use with SC and SCQ Series Consoles. It features a durable, black, graphite, laminate top with an oak, beveled, bull-nose, edge trim. This unit is a center piece and is finished on all sides. 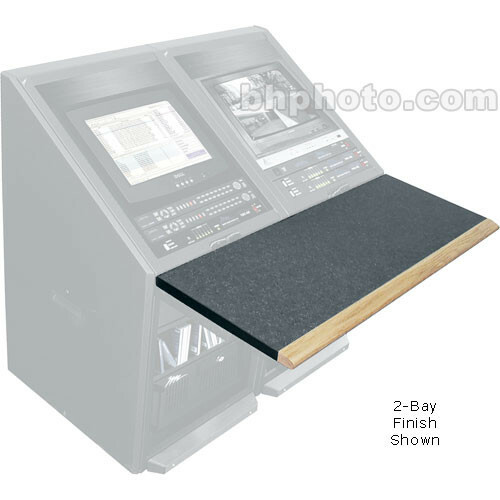 It is designed for use with a three-bay, straight, console setup or section. Box Dimensions (LxWxH) 70.0 x 24.0 x 4.0"